A judge ordered Gov. Paul LePage’s administration to implement voter-approved Medicaid expansion, which could be one of the final steps in a monthslong court battle over whether the state must provide 70,000 Mainers with health coverage. 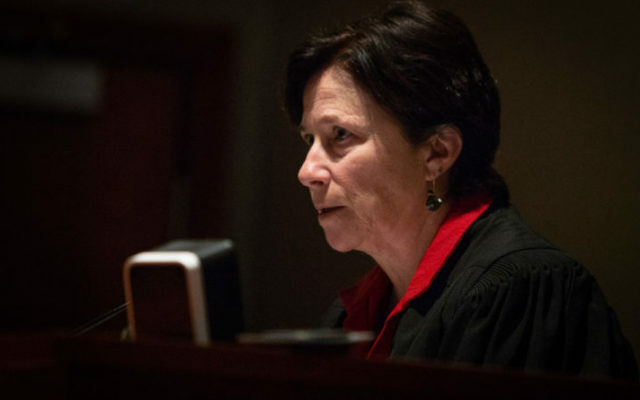 AUGUSTA, Maine — A judge ordered Gov. Paul LePage’s administration on Wednesday to implement voter-approved Medicaid expansion, which could be one of the final steps in a monthslong court battle over whether the state must provide 70,000 Mainers with health coverage. The 21-page ruling from Superior Court Justice Michaela Murphy found that the Maine Department of Health and Human Services has “failed and refused to comply” with the law passed by Maine voters in 2017 that would expand Medicaid under the federal Affordable Care Act. She ordered the administration to adopt rules governing the law by Dec. 5, but a spokeswoman for the Republican governor said he plans on appealing the ruling to Maine’s high court, which could delay the rules. Attorney General Janet Mills, his chief Democratic rival in Augusta, won the November electionto replace him and has vowed to implement expansion when she takes office Jan. 2. LePage has led the fight against expansion during his tenure, vetoing legislative expansion plans five times. Lawyers for his administration have argued that the state has not had to implement the law because it has not been funded by the Legislature, which failed earlier this year to pass a start-up funding package over the governor’s veto. Advocates for expansion, led by the progressive Maine Equal Justice Partners, have shot back by saying that existing surpluses or Medicaid funds could be used fund it, at least in the interim. Murphy has largely upheld their arguments so far and did so again in her Wednesday order. She said the LePage administration should have adopted rules and begun implementation no later than July 2 and ordered it to work to ensure that coverage for eligible Mainers will be backdated to then. So far, Maine has only begun taking the bureaucratic steps to expand. The lawsuit from advocates came in late April after the state missed a deadline to send an expansion plan to the federal government. Murphy ordered the state to do it in June and the Maine Supreme Judicial Court upheld that ruling in August. It was filed in September with a letter from LePage that asked President Donald Trump’s administration to reject it. On Monday, the state issued a public notice of its intent to file another plan with the Trump administration. But the larger constitutional and legal questions in the case — including whether the state can be ordered to implement a law without dedicated funding and the effective date of the law — have wound through the courts since then. Murphy answered them Wednesday. In her order, she cited testimony from a legislative analyst who said the existing Medicaid fund could pay for expansion at least until May 2019. Funding it that way could lead to denial of coverage if money runs out and the Legislature doesn’t provide sustainable funding, but Murphy said “any deficiency” in funding “must be solved” by lawmakers. LePage spokeswoman Julie Rabinowitz said the governor plans on appealing the ruling, though his team is “still analyzing the decision” with 42 days left in office. That drew a pithy reply from Mills spokesman Scott Ogden. “If there is an appeal, it will shortly be moot,” he said.